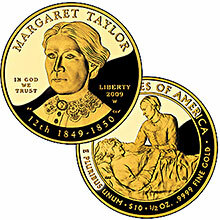 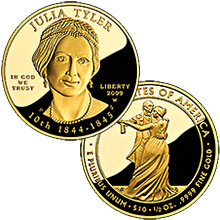 The First Spouse Gold Coin Series from the United States Mint is a coin program that features our Nation's first spouses. 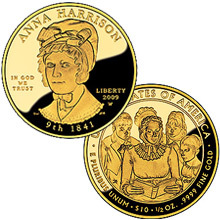 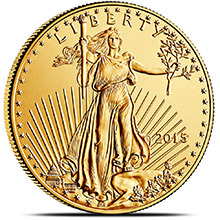 Several one-half ounce $10 24-karat gold coins are minted and released annually in small mintages in the order the spouses served in the position. 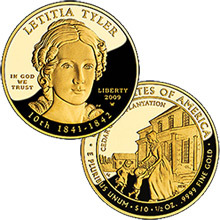 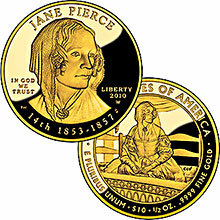 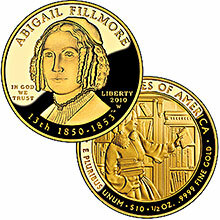 The coins are minted in proof and uncirculated versions. 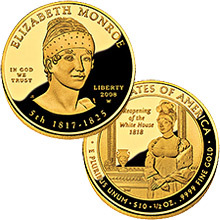 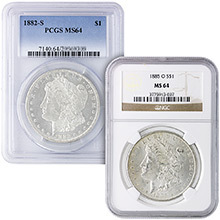 The obverse (heads) of each coin depicts a close image of the first spouse, and the reverse (tails) reveals an iconic image relating to their life.